Paintballs There are 22 products. 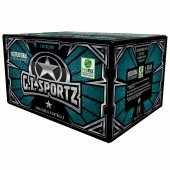 .43 Cal paintballs are specialized paintballs. Designed for use with special guns such as the Walther PPQ. They are generally used for military training and target shooting as their size is the closest to copying an actual firearm. 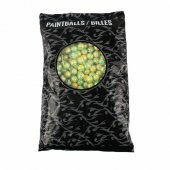 Paintballs are a small, spherical, gelatin capsule filled with a non-toxic, water soluble ‘paint’ mixture. Once shot from a paintball gun, the paintball breaks on target, releasing a colourful paint that signals that a player has been eliminated. The ideal paintball fires accurately, breaks on target, and leaves a thick and bright colourful mark. 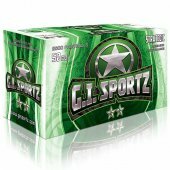 Paintballs are available in a number of different calibres, with .68 cal. being the most popular, followed by .50 cal., and the less-common .43 cal. 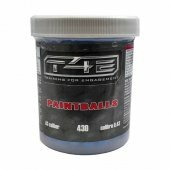 It is important, and necessary, to match the calibre of your paintballs to the calibre of your paintball gun. 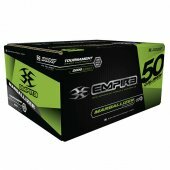 The following four features determine the quality and accuracy of any brand of paintball. The overall consistency of the shape of the ball is important, as this plays a huge role in the accuracy of the shot. The ideal paintball is perfectly round and, therefore, consistently-sized the whole way around. 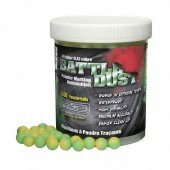 The actual size of paintballs will vary, even within the same calibre, and so for the best results, advanced players will match the size of the paintballs they are shooting to the bore size of their barrel. 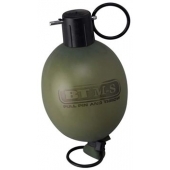 This is done most effectively using a barrel bore kit, or a barrel system with barrel backs that have different bore sizes, to match the size of the paintball. The bore kit helps assure a perfect fit in the barrel to improve accuracy, efficiency, and more breaks on target. While you can get by with a larger bore size in your barrel, a barrel whose bore is too tight for the paintballs being use will end up breaking the balls in the barrel. The brittleness of the ball describes the fragility of the shell of the ball. The more brittle, the better chance the paint will explode on target, but a brittle ball is also more likely to break in the loader, breach, or barrel of the gun. There is a need to balance the equipment with the brittleness of the paintball being used. In our experience, high-end guns are designed to shoot the most brittle paintballs. This is necessary for tournament play, where the stakes are high, and players cannot risk a ‘bounce’ (a bounce happens when a paintball hits the player but does not break on impact, allowing the player to remain in the game). Recreational paintball markers are better suited for shooting a mid-grade paintball, and cannot, typically, shoot tournament grade paintballs without increased breakage inside the barrel or breach of the gun. The fill colour of the paintball should be brightly colored, so you can clearly see its marks on your opponent. The performance grade paintballs usually have the brightest colour fills, and this helps the referees quickly identify eliminations in a fast-paced tournament game. Bright colours are necessary for tournament play, however they can enhance any game of paintball by making it easier to spot the paintballs that break on target. The density of the fill in the paintball also helps to clearly identify whether a player has been hit, and makes it more difficult for a player to wipe a hit off. Once the paintball breaks and leaves it mark, a thicker fill will not absorb as easily into clothing and is harder to wipe off. A thick fill density is important for tournament play, and most performance-grade paintballs have a fill density as thick as glue, that will spread around when wiped, making the attempt to wipe obvious. 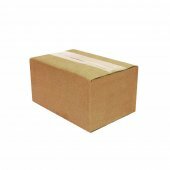 Often, it requires rags and towels to clean off these thick, nasty fills. Having a quality paintball that matches the equipment is an important factor contributing to the overall paintball experience. Each grade of paintball is designed for a specific type of game play, and paintballs work best when properly matched to the paintball gun being used. 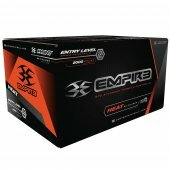 For example, high-end tournament grade paintballs will perform the best when shot from a high-end tournament gun. If you are unsure which grade of paintballs will work best with your equipment, contact our paintball experts on our Live Chat, or via email at info@badlandspaintball.com. Protect from sub-zero or freezing. Failure to follow these instructions can result in poorer quality and product performance, as well as an increased chance of injury due to the outer shell hardening of projectiles. Paintball are intended only for competitive sport and recreational games. All rules must be followed for safe play. Specifically designed protective eye systems such as googles, face masks and ear protection is strictly mandatory. Failure to comply with the safety rules of paintball or military simulation as well as instructions, recommendations and warnings listed here can result in bodily harm and/or serious injury to the face, eyes and ears often resulting in blindness or deafness. DO NOT INGEST keep product out of reach from children, pets and livestock at all times. IF INJESTED and adverse symptoms arise please consult a physician immediately. Permanent marking or staining on clothes can be avoided by washing with soap and water immediately after play. If paint gets on automobile finishes or household items wash immediately with soap and water or non-abrasive household cleaners.